Normally, people define verb as a part of speech used to describe the state of being, an action or occurrence. It is rather easy to define verb in term of what role it plays than what it actually is. For instance, a word ‘same’ serve both as a ‘noun’ and a ‘verb’. Similarly, a single verb can be used in a numerous ways according to the situation and need. 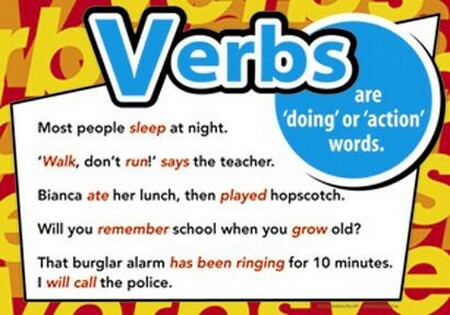 Verb has an important role to play in the part of speech. It has some different types based on the function it plays. Let us have a look on some of the different types of verbs used in English Language. A verb is generally very easy to define as we have seen the definition already. It is a word that is used according to the situation to represent the action that is taking place or occurrence of anything or even a state of something at particular event of time. A verb can be used in different ways in a sentence in terms of voice, tense, mood, and aspect. 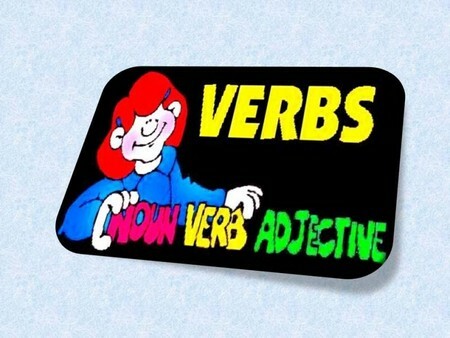 It is verb that helps us to distinguish the predicate part of the sentence from the subject part. A predicate is a part of sentence containing a verb that makes the statement about the subject. There are two major categories of verb. The first category of the verb deals with the job it performs in the sentence and is known as syntactically division of verbs. The different types of the verb fall under this category are finite, non-finite and auxiliary or helping verbs. The second category is known as morphological division of verbs that deals with formation of the verbs. The different types covered under this category are regular and irregular verbs, compound verbs and phrasal verbs. Finite verbs are the verbs which are used in accordance with pronouns such as he, she, they, we, you etc. Finite verbs are the verbs which have the limited power in respect to certain pronouns. Finite verbs are further subdivided into linking verb, transitive and intransitive verbs. Non-finite verbs are the verbs which don’t modify in respect to other words. These verbs don’t influenced by any word in the sentences. Infinitives, gerunds and participles are part of non-finite verbs. An auxiliary verb or more commonly a helping verb is a verb that is placed before the main verb in the sentences. Auxiliary verb used in the sentence can change the speaker’s viewpoint in respect to the actions and/or tense of action. There are two major classes of auxiliary verb, i.e. primary auxiliaries and modal auxiliaries. Regular verbs are the verbs which are quite easy to form, i.e. the different forms of verb are formed by simply adding –d or –ed at the end of the word. Irregular verbs are the verbs which are not easy to form like regular verbs. For example, if we take verb sing, its past form are formed as sang and sung instead of adding –ed at the end. Commonly called as complex predicate and are usually composed of multi-words taken as single verb. Phrasal verbs are the verbs which are formed from combing a preposition with a verb; an adverb and a verb and even a verb added to both preposition and adverbs. There are certain other forms of the verb which include light verb, raising verb and reflexive verb.